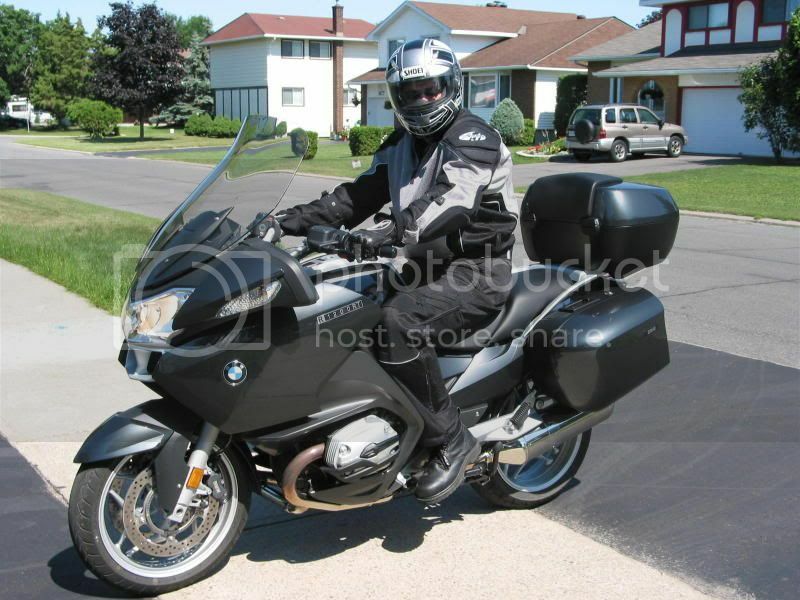 Welcome to the new R1200RT forum, with all the new options available on the New RT such as ESA, BC, cruise and the new stereo system the RT has become BMW's latest Luxury Sports Tourer. 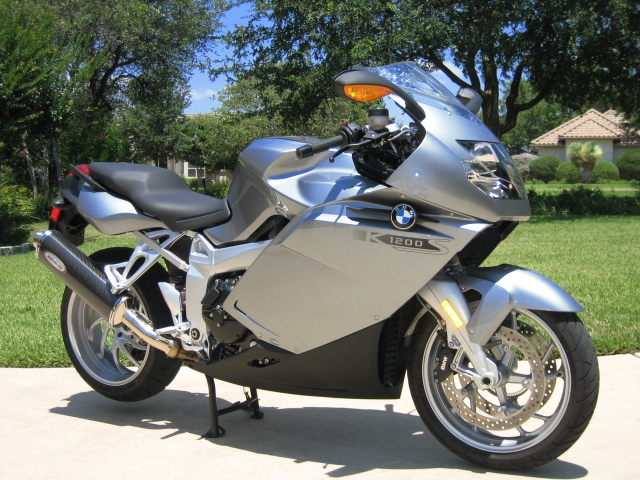 As you can see by all the R1200RT posts transfered here, this forum has a great head start. If you have a question about the new RT or have the knowledge to anwser a few this is the place. frisco23 and jt rocker like this. 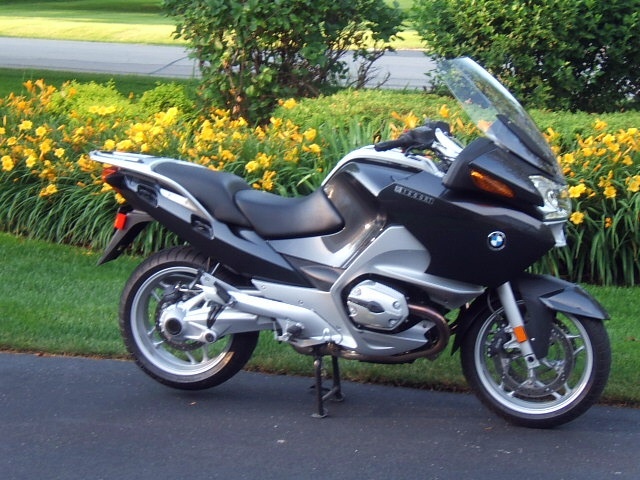 So, John, let's see your R1200RT! Just my twins............... Uh there not Identical. AT Rick Mayers with some fresh Leather. Berardi3, Geoff c and stack like this. Some pictures of my new 2005 RT. Love it. 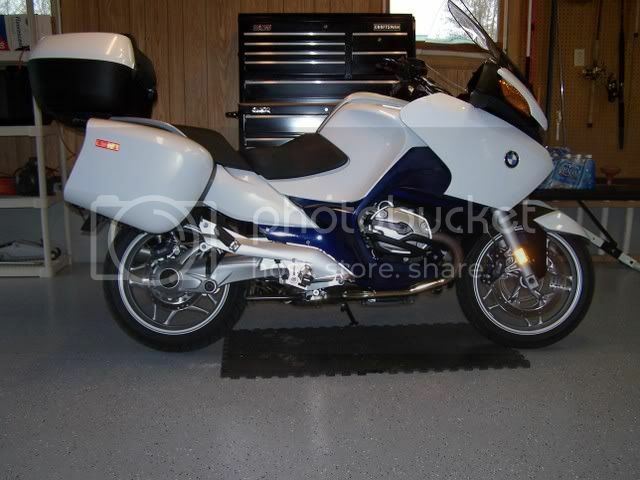 Miss the LT, but like this bike better. Just traded 02 LT for new 06 RT. Both are great bikes...A lot happier than expected. 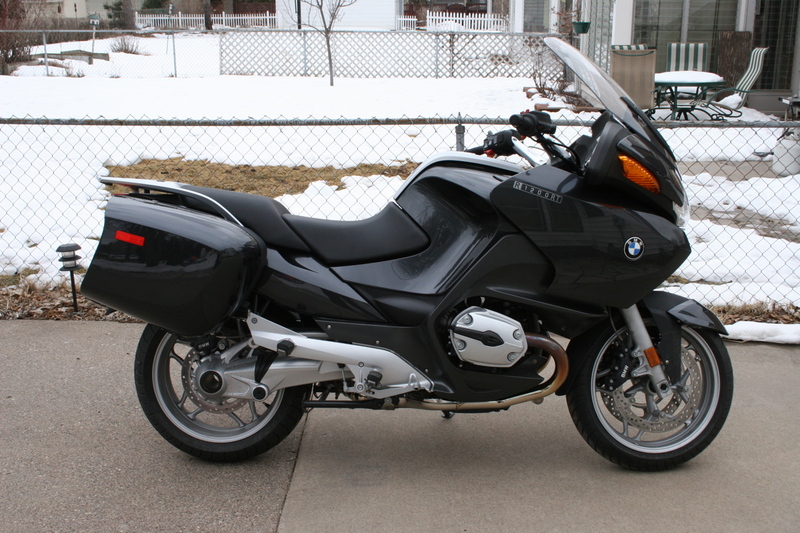 R1200RT with every option except the radio (but has the radio prep kit), picked up in a fly and ride out west. 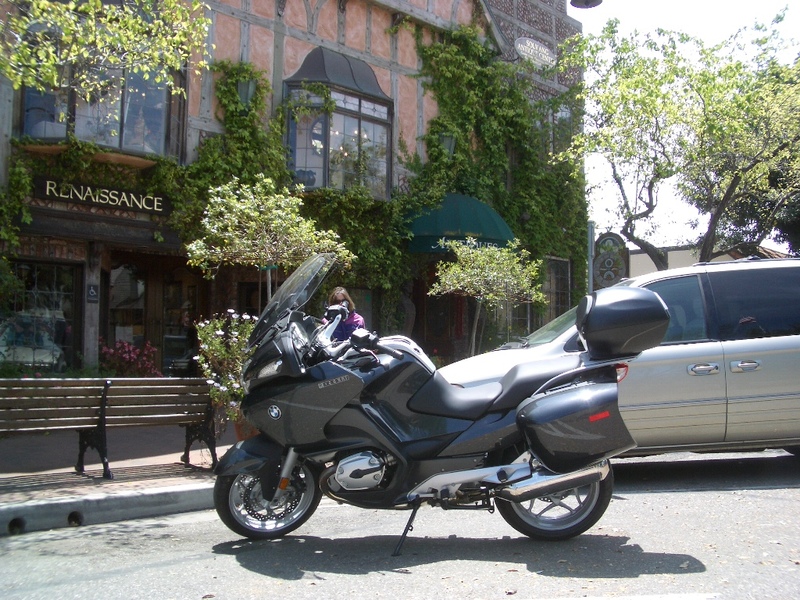 Here shown in the picturesque village of Solvang, California. Back home now, and loving this bike. Geoff c and stack like this. Here's my Rt just back from VT rally. Had a great time. Rode to the top of Mt Mansfield & Mt Washington NH. Rode most of the day Sat in the rain. Slept in tent Sat night in the rain, and packed to leave sun morn in the rain. She's 13 mths old and 23k miles. Best bike I've ever owned. OK, you win the battle of "Beast of Burden" for this month. 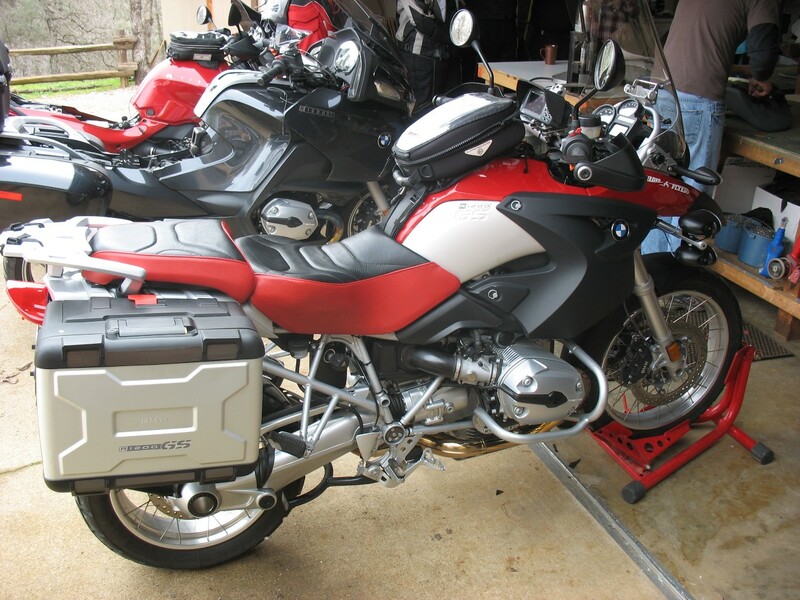 The tank bag is in the house getting "filled" with something I'm sure. 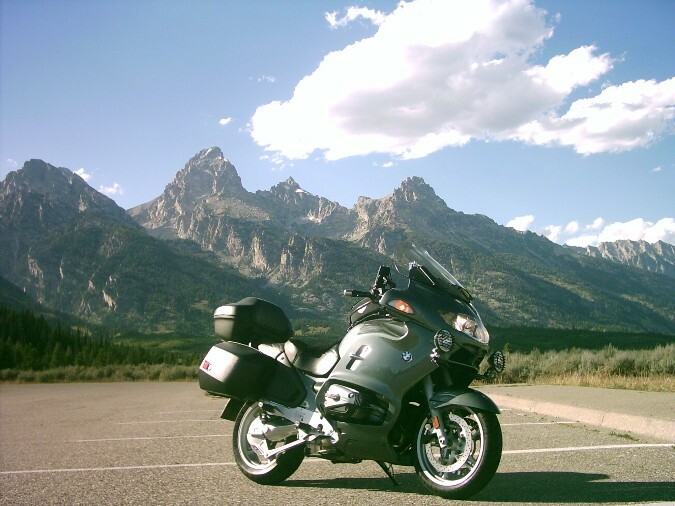 Pics taken during 5500 mile trip to Yellowstone & Glacier National Park. 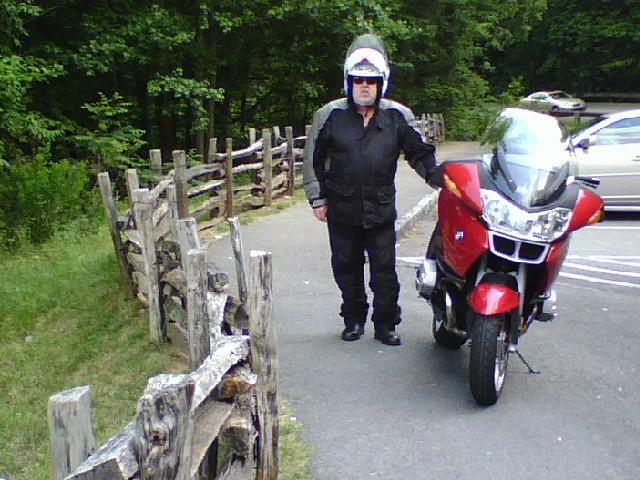 Sencond pic taken after riding through muddy east entrance to Yellowstone. My 12RT shortly after delivery. My Gertrude (1200RT) has her own fan club. I guess I need to by two more this Christmas. From Capetown South -Africa - trying to get a pic of my bike on.....? 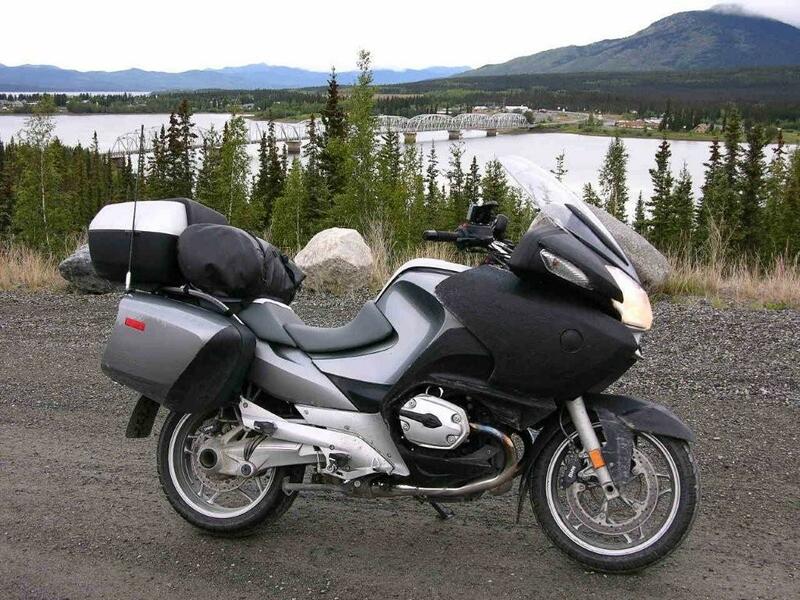 This is a photo of my 2006 RT on a ride to Alaska last summer. 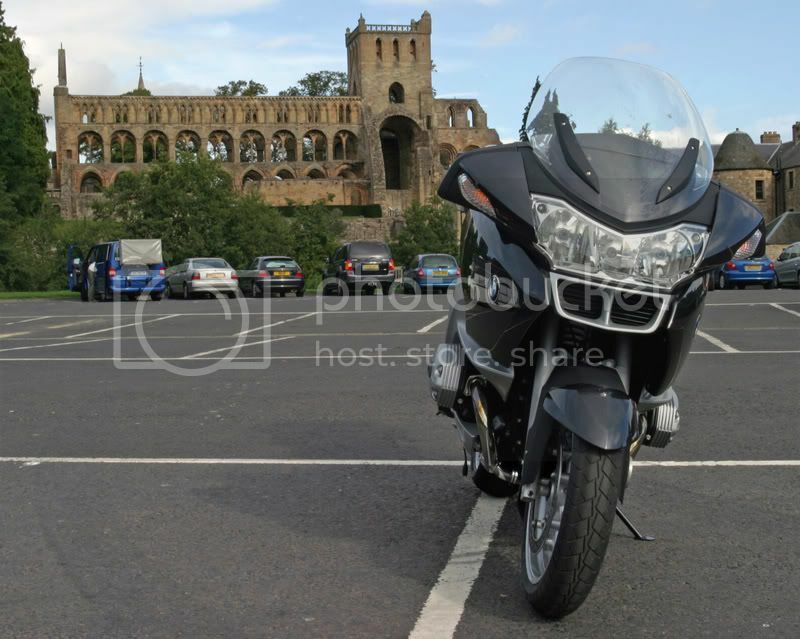 The bike now has 15000 enjoyable miles. Geoff c, jfodge and stack like this. Can I assume that the antenna was a local installation? It's a home made bracket. It has worked out with and without the trunk. My current bike. Best BMW I've ever owned. 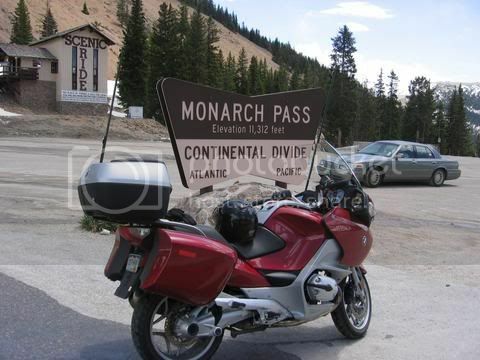 A pic of my 2007 RT on Bald Mountain Pass, Utah. Still breaking it in, and waiting to take delivery on accessories. Last edited by Gizmo; May 28th, 2007 at 10:12 am. Had a ghost sighting at work today! 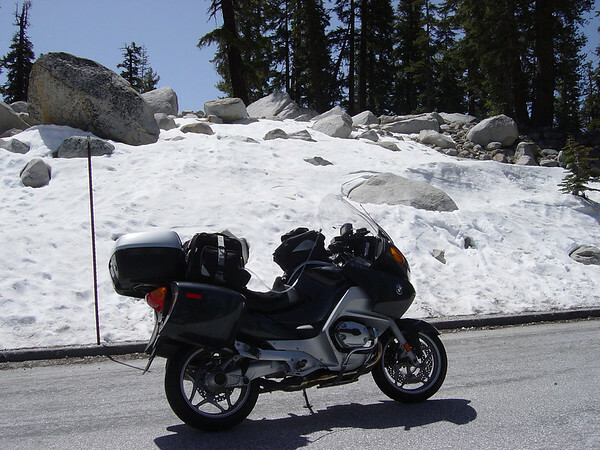 151,000 miles driving bikes and still counting. New Blue RT and the RT with the Heritage. Welcome George! Congrats on moving to the BMW. 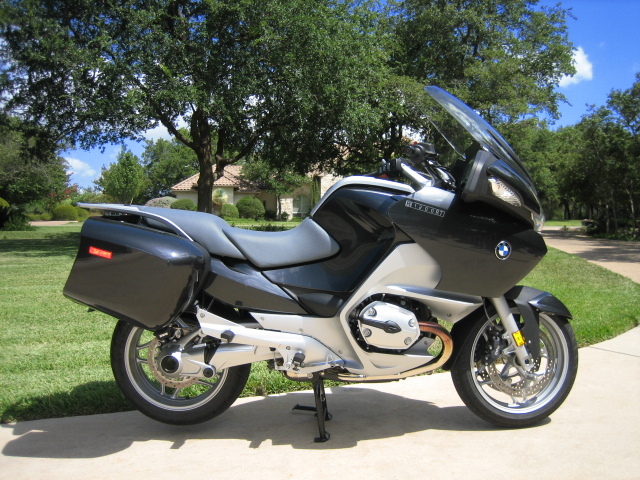 My pal is the Chief Chassis Engineer for HD and he recommended I stay with BMW. He knows how I ride. They do lots of comparisons and he knows I need BIG BRAKES, ABS, and a motor that can manage abuse! 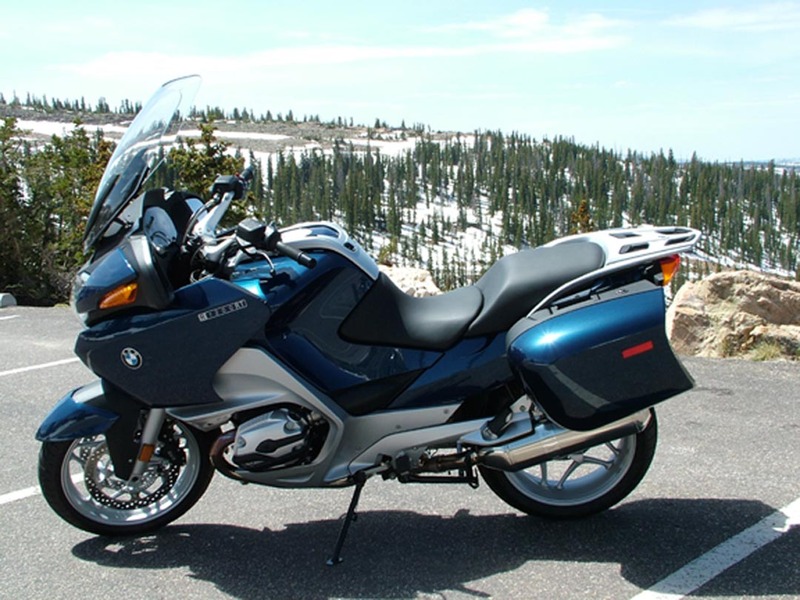 The HD life style is great fun and maybe when I hit 80 I'll slow down and buy a HD. 'till then, I'm sticking with the GT or whatever they come up with next. My brother in law has an RT and he loves it. He has maybe 20,000 miles on it. I prefer the GT. You will love this site. Lots of great people. Hi all another newbie to this great site. I don't have the newer 1200 but have a 90 K100RT which I got back in 2003. It had 182,000klms then but has just clicked over the 245,000 mark and still going strong. It does have a few additional extras which basically are the same as the LT and I have added a few also since I purchased it. 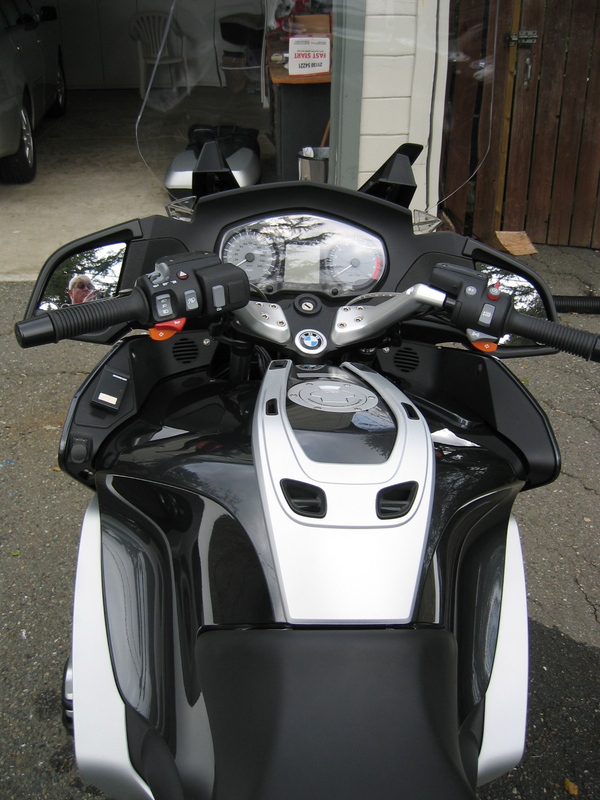 Some gold chromework, stereo, driving lights, autocom, GPS, UHF/AM CB, heated grips, Towbar. I even built a trailer to make a matching outfit for when we go to the Ulysses AGM's held across the country here annually. and finally. 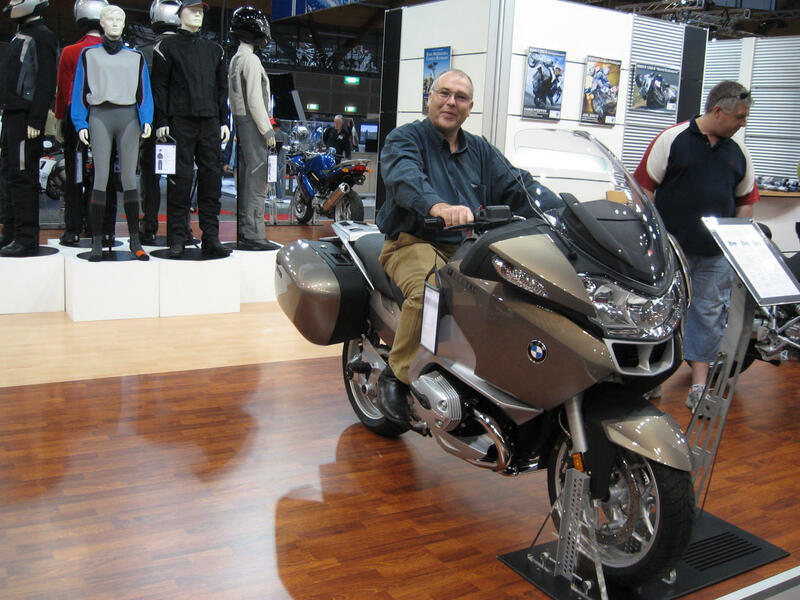 This one of a spectacularly presented R1200RT that was at the Ulysses AGM in Tasmania last year. I think the pic says it all. Bushytas and Geoff c like this. Last edited by rf253; Oct 29th, 2007 at 11:10 pm. This is My Ride to be. 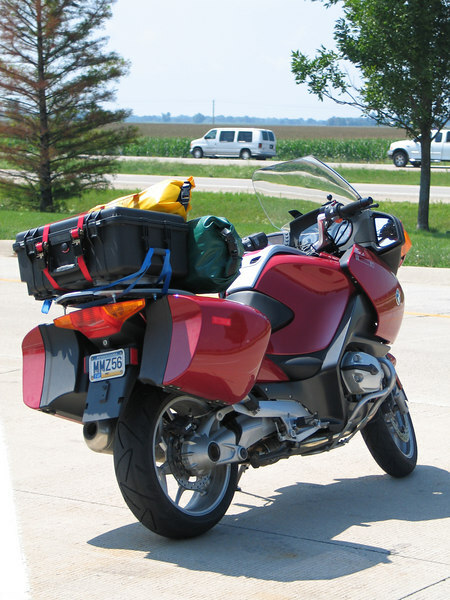 I had an early build 05 R1200RT and had a couple of issues. 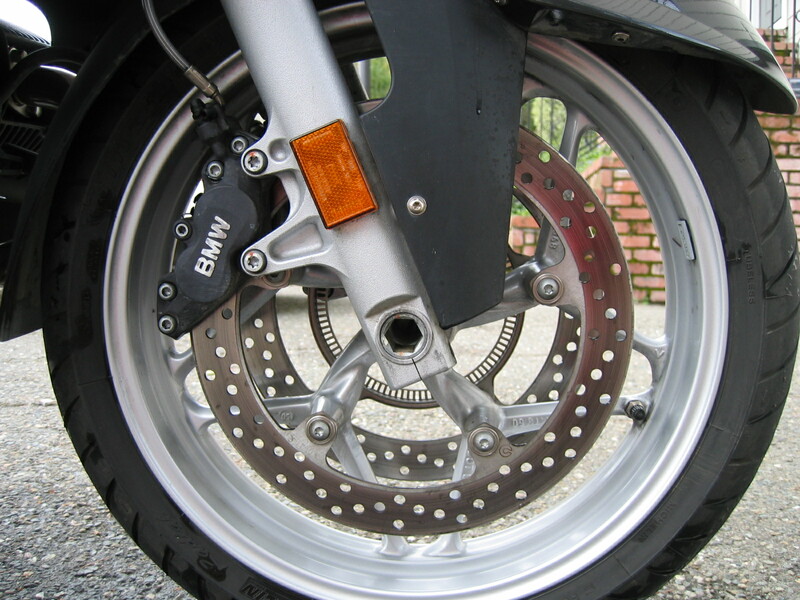 The front brake rotors warped twice and the windscreen would bounce around at all speeds. 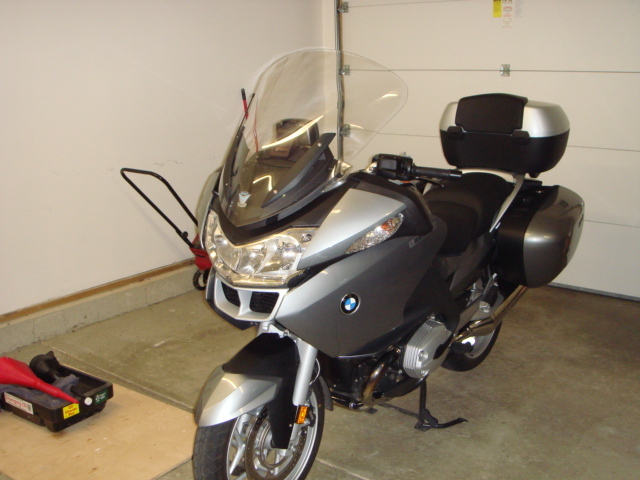 I was annoyed with BMW customer service and sold the bike. 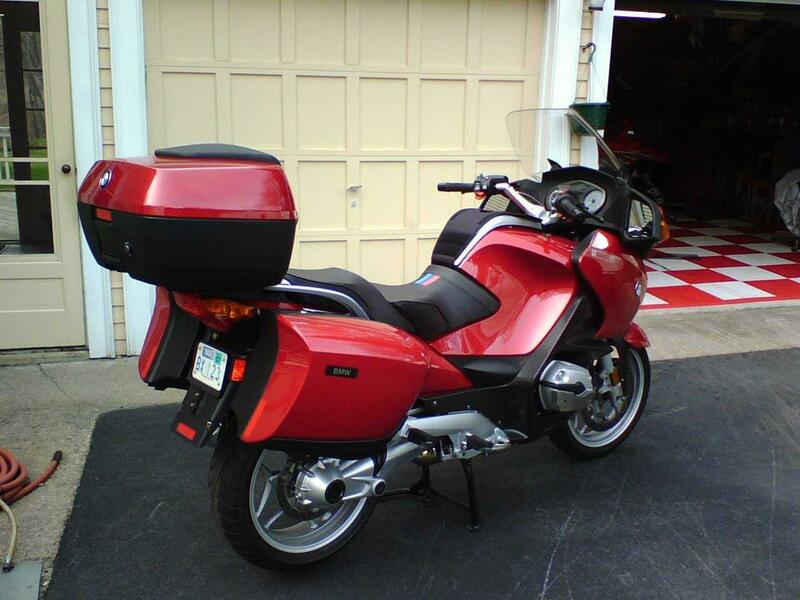 I currently have a Honda St1300 with no problems 19,000 Mi. 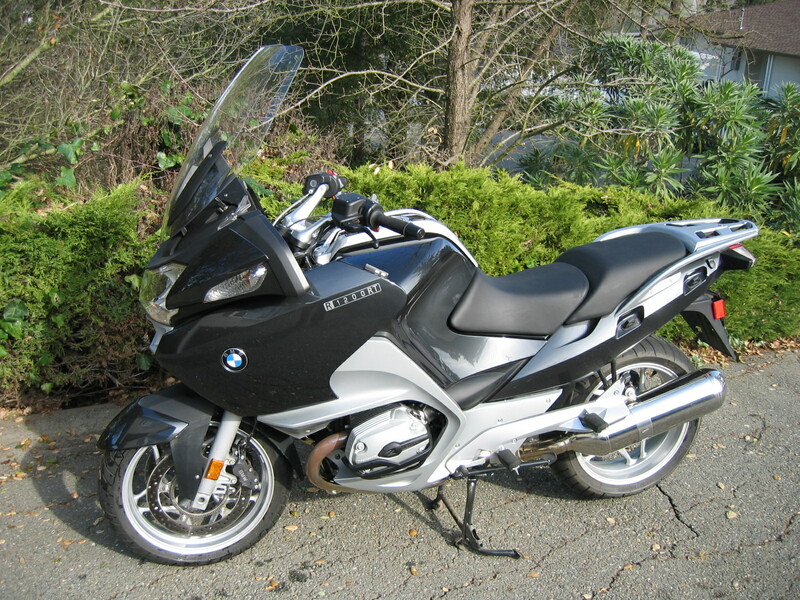 I due miss the Beemer though, because of great handling, heated seat and grips and cruise control. 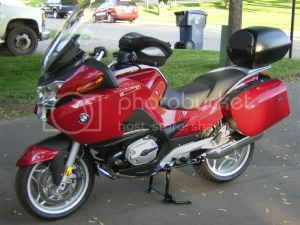 I will be purchasing another Beemer in the future, but would like to know if these issues were recalled and fixed on the later model Rt's? Sat on this at the Sydney Motor Show. Should have it in the Garage tomorrow. This colour is great! 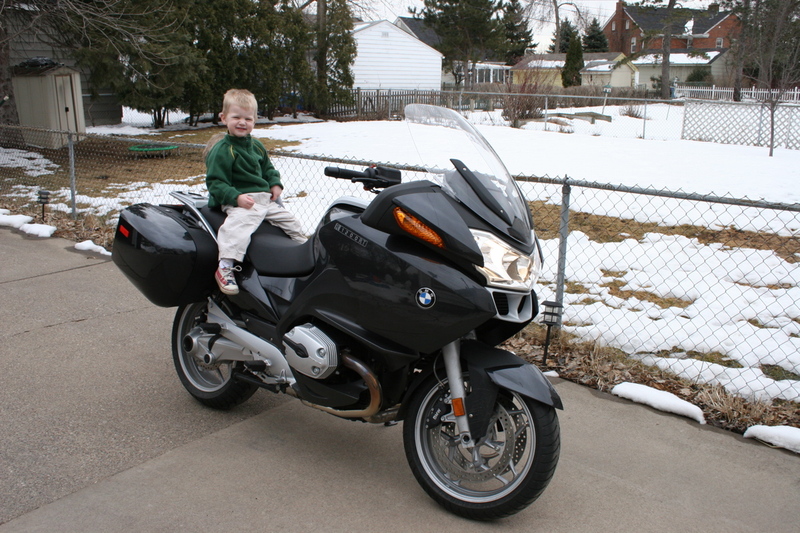 I'm on my way to order one today, delivered as snow eases in late march. 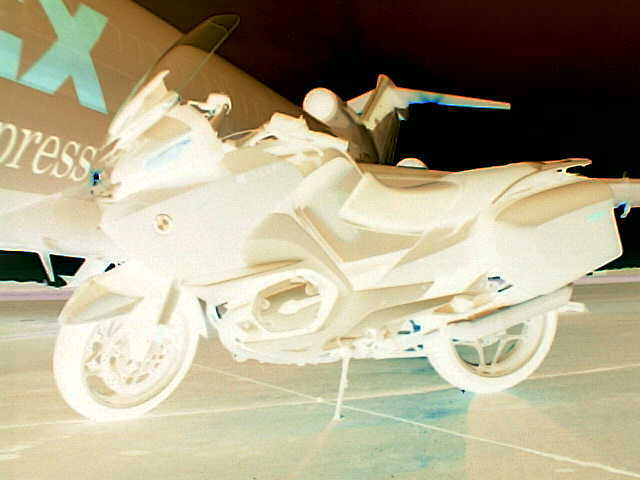 Just checked my new bike at the dealers. Comes with iPod wiring, chrome exhaust and all the other Australian SE features. Hope to pick it up Saturday morning and start the break in period. Have a long tour planned, I just need to buy a mount for the GPS and I'm set. 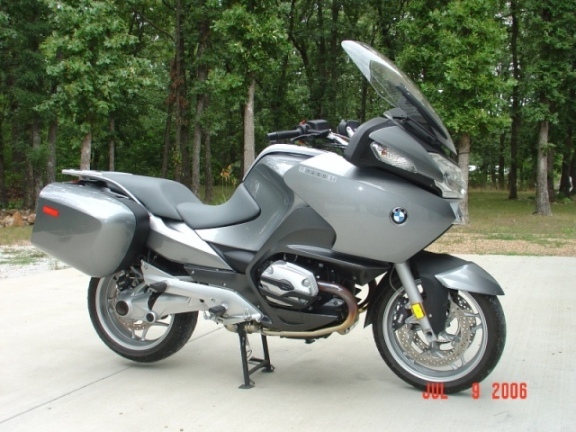 How is that new R1200RT going? What GPS do you have? I purchased the Nuvi 760, not a bike GPS but the best going for the RT as far as I'm concerned. The Nuvi has MP3 Player, Fm transmitter, track logs, programmable routes using Mapsource and so on. 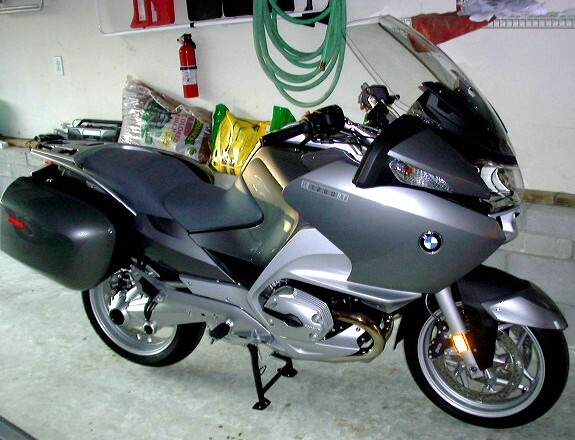 The bike I like a lot, find I get a sore Arse, but hope that will wear in. I have 2000 klms so far, off for first service on Tuesday. I am then doing a 4,000 k ride down to Tassie and back. 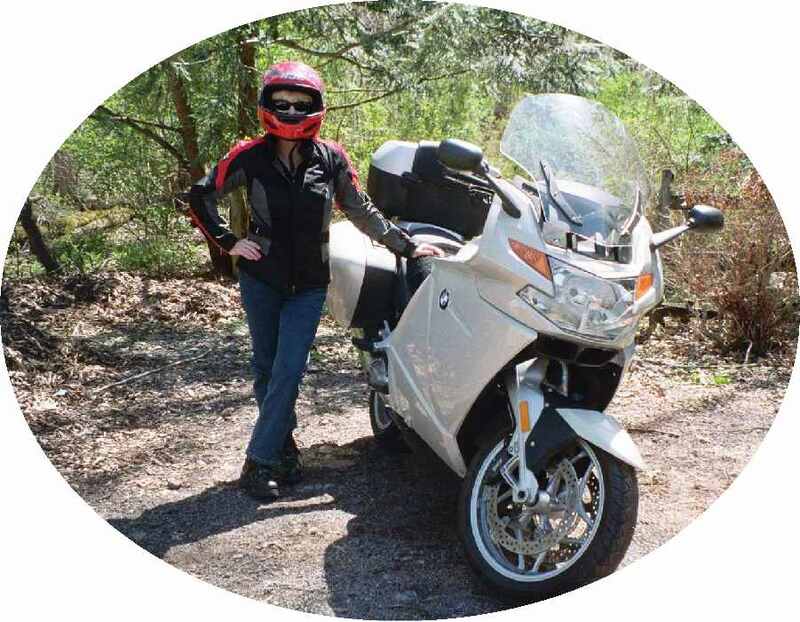 What I really like is the sports bike handling ! 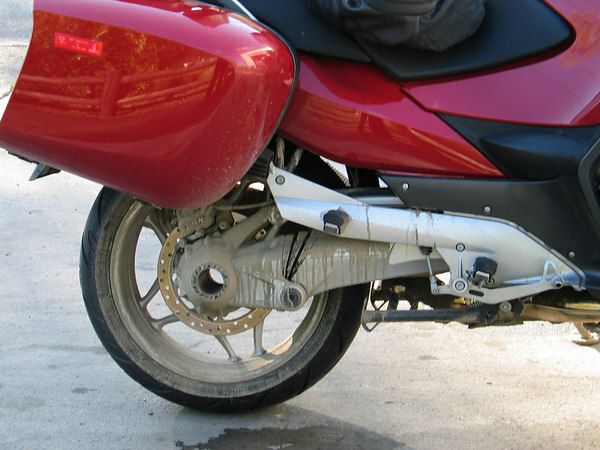 Wow this bike just handles so well for the weight and size, I don't think I'm any slower than on my Buell in the corners, and I'm not used to the bike yet. 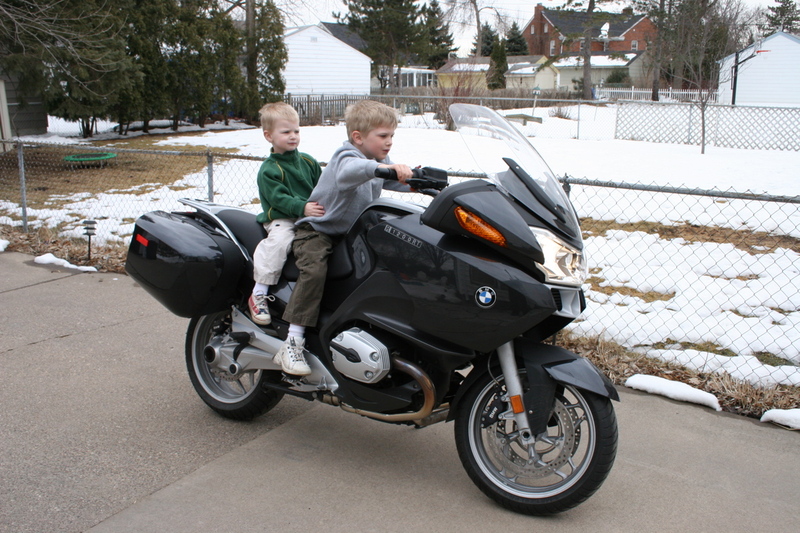 It is slower out of corners dues to the weight, and is not as agile , but this does not take much away from the ride. 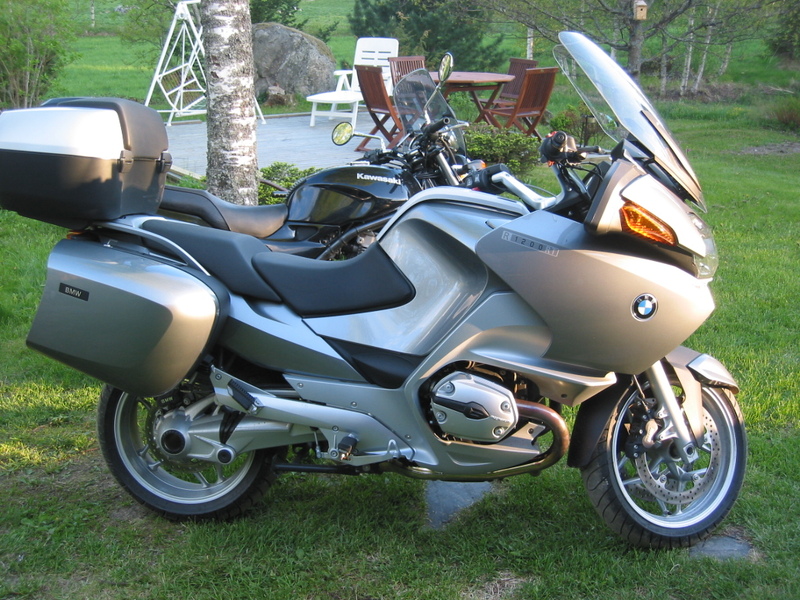 I 'm pleased I didn't go with my first choice the K1200GT, as I just don't think the handling side of the ride would have ben as enjoyable as the RT is. I thought I could include a photo of my Nuvi 760 in operation. THis GPS works very well with the RT . Last edited by Bails; Jan 31st, 2008 at 4:19 am. Downsize the picture to about half of that. Last edited by yngvis; Jan 31st, 2008 at 12:35 pm.